Gilbert, born in Nottingham 19th June 1904 was known as Tom Thums by all. On the 22nd December nine planes of the Japanese airforce flew lazily over HMS Cicala. 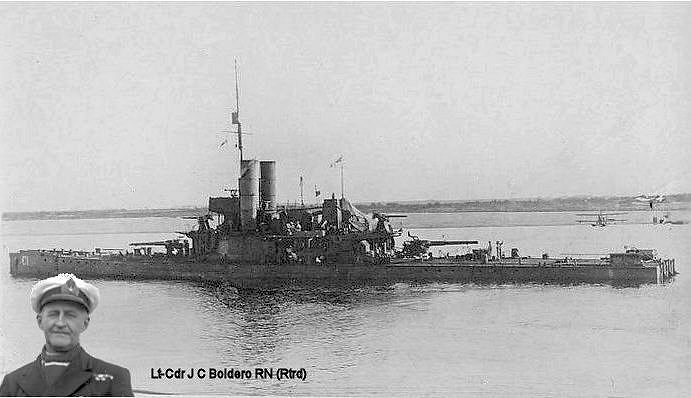 Lt Kennedy: "Near Aberdeen the “Cicala” was doing yeoman service with her two six-inch guns bombarding enemy positions, and in consequence came under repeated attack from the air. The value of her work was confirmed the next morning by the determination of the Japanese to silence her. 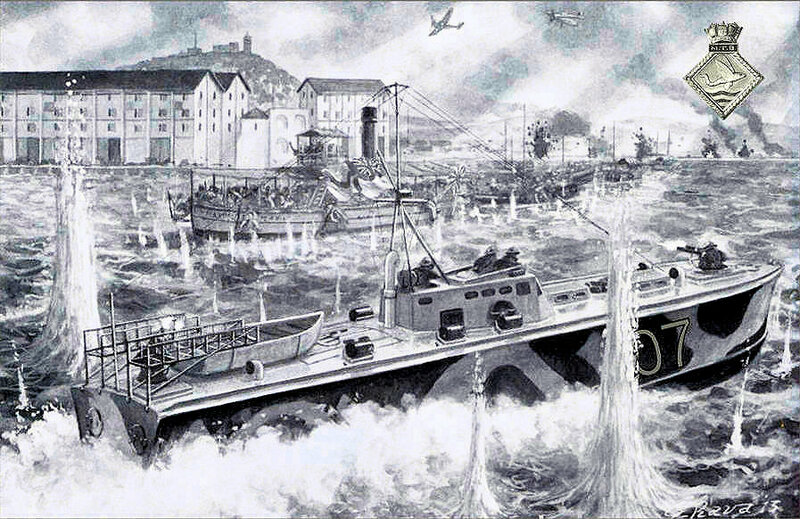 The “Cicala” was steaming slowly near the coast (East Lamma Channel) continuing the bombardment when the air attack began. Nine planes circled high above her and one by one peeled off leisurely into a dive. Eight times the water rose up like a curtain round the ship, and eight times it fell to reveal the “Cicala” still sitting there firing at the land. It was agonising to watch, but after the bombs had gone from the last aircraft and the fountains of spray subsided, her guns were silent and smoke was coming from the ship. Gilbert was Mentioned in Despatches for distinguished services during the defence of Hong Kong. Gilbert joined the Royal Navy in 1920 as a boy seaman based on the training hulk HMS Impregnable. 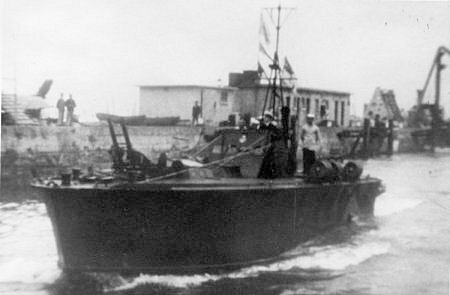 Gilbert was the Coxswain/Boatswain on the former West River Flotilla gunboat HMS Cicala untill she was sunk on the 21st December 1941. Lt-Cmd Gandy in MTB 10 came alongside and took off the crew, retaining Thums for his crew. Gilbert was promoted to Warrant Officer (Bosun) on his return to the UK. He was in HMS Buccaneer, a salvage tug, which was sunk whilst engaged in target towing for HMS St James, a Battle Class destroyer in 1946. He was Officer of the Watch when she was hit. 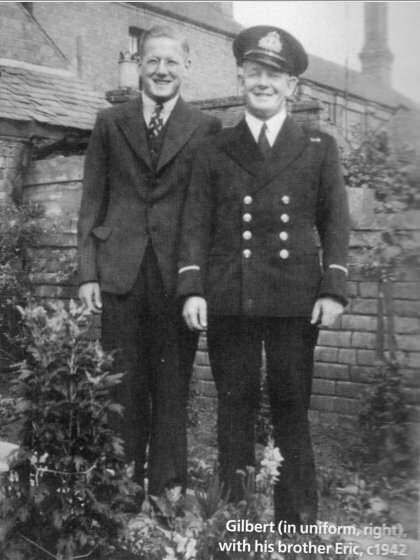 Left: Warrant Officer (Bosun) Gilbert Thums with his brother Erik c1942. 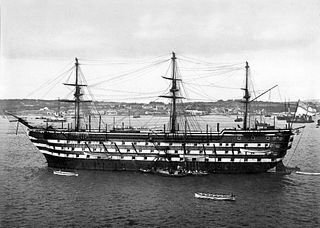 HMS Impregnable, training hulk in Plymouth where Gilbert Thums was stationed as a boy seaman upon joining the Royal Navy in 1920. 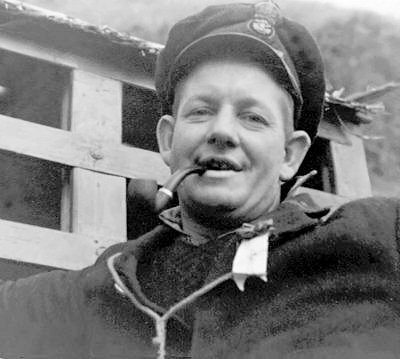 After twenty eight years of distinguished service he retired as a Commissioned Bosun in 1948. The 1939-1945 Medal, sometimes known as the Victory Medal, with oak leaf clasp for mention in dispatches in Hong Kong, 1941. 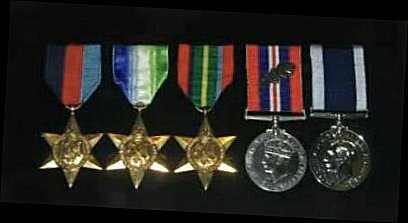 Long service and good conduct medal.